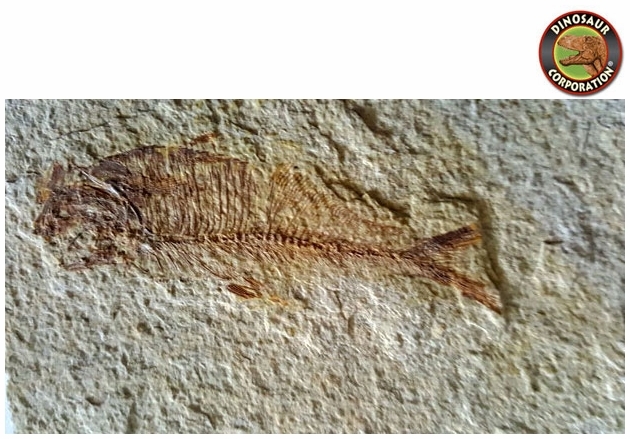 Here is a very detailed, 3.5" long prehistoric Diplomystus fish fossil from a quarry near Kemmerer, Wyoming. It's from the Green River Formation and approximately 45-50 million years old. It displays well on the included acrylic display stand. By the end of the Eocene, Earth developed ice house climate characteristics and had a change in atmospheric chemistry. The effects of bolide impacts may also have contributed to the eventual loss of flora and fauna at once verdant latitudes.